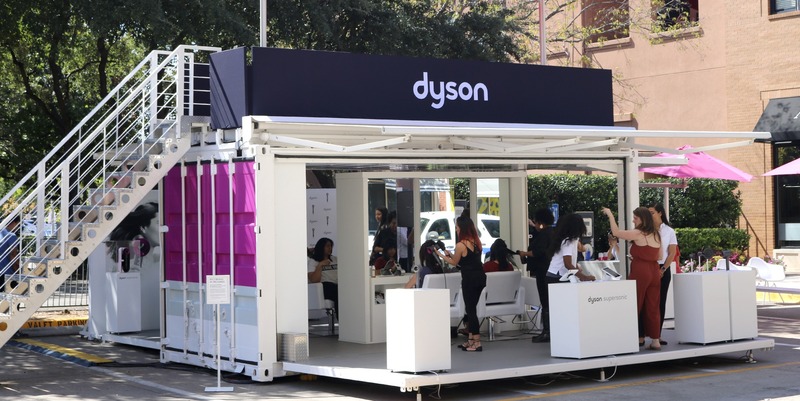 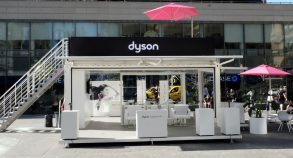 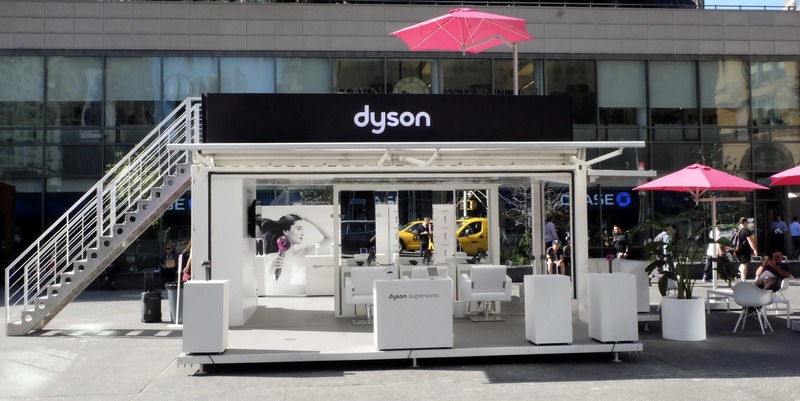 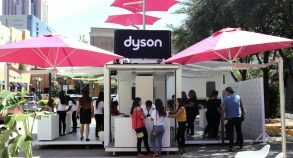 Steel Space Concepts create a mobile salon and blow dry bar to help launch the new cutting-edge Supersonic Dyson hairdryer across cities in the US. 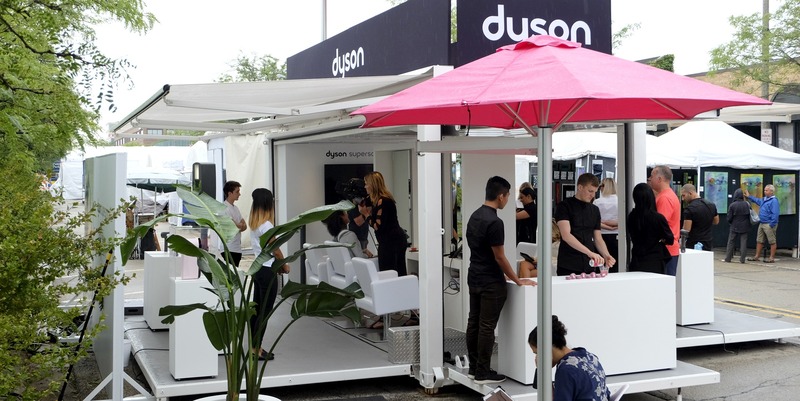 During this nationwide tour, professional hairdressers welcomed visitors and invited them to get their hair washed and blow-dried using the new Dyson hairdryer. 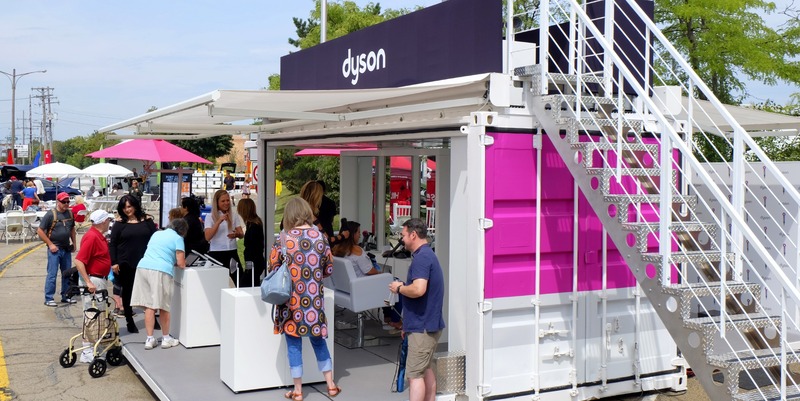 Visitors were also encouraged to try the new product themselves, while hairdressers explained how the Dyson hairdryer works and described its main advantages compared to other brands. 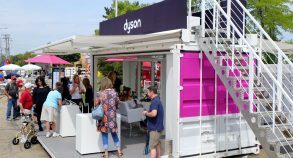 For this project, stylish individual hair salon stations were integrated into an SS40 shipping container unit, providing a sizeable promotional space of over 1200 sq. 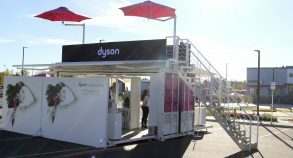 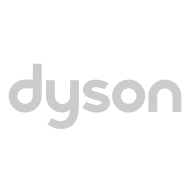 ft. An exterior staircase also led to a mezzanine where visitors could take time to enjoy the surrounding views and learn more about Dyson’s new product. 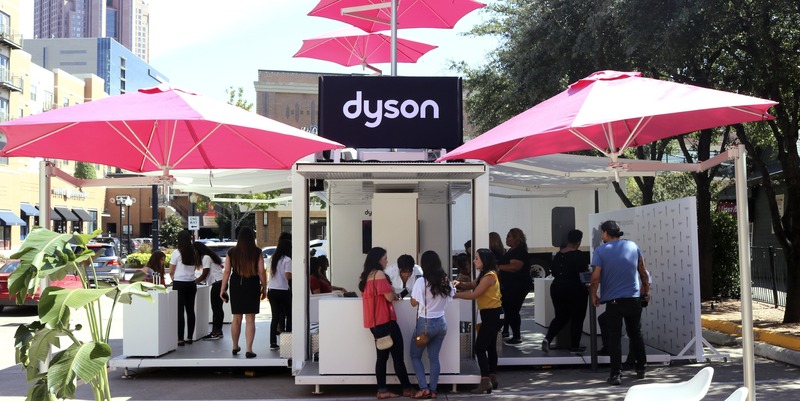 Social media was also integrated into the mobile salon, which was a huge hit at every tour stop. 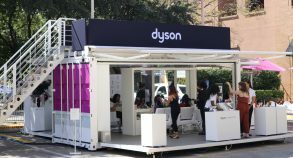 Although bigger than regular units, the Steel Space 40 remains functional, practical and mobile compared to smaller units.